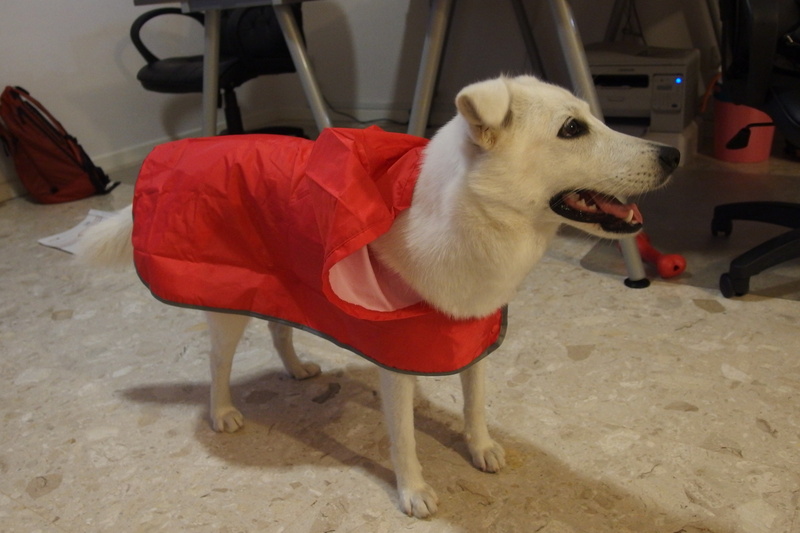 Doggie Raincoat | Macy Come Here! 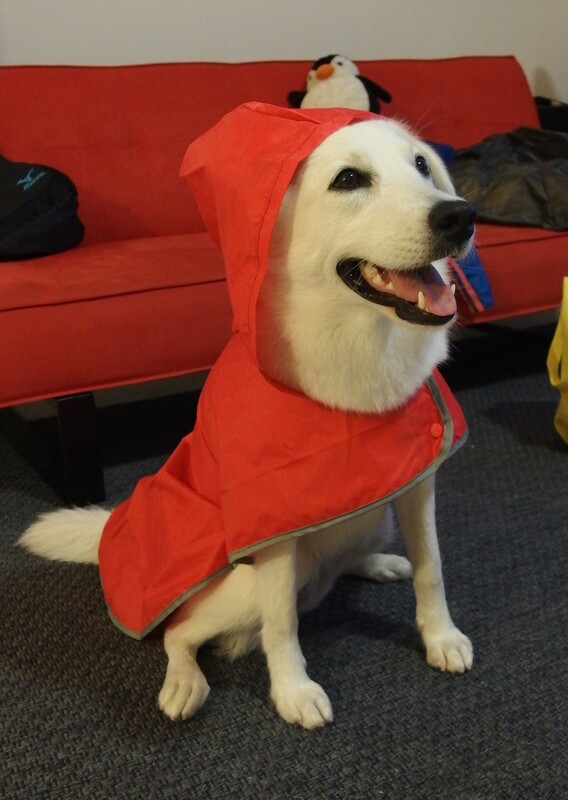 The Owner got me a new raincoat so that I won’t get wet when I go out to pee on rainy days. Don’t I look like Little Red Riding Hood?? ?